Looking back on state, city measures from 2016 election: How much progress has been made? As the appointed representative of District 6 in the Berkeley Cannabis Commission and as the commission’s current vice chair, I can confirm that Measure T — a voter-mandated tax bill for marijuana businesses — has indeed worked to fulfill its stated purpose. 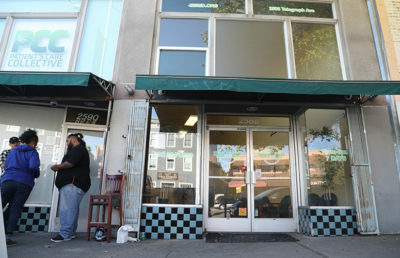 Not only does this measure ensure that the Berkeley medical cannabis provision is implemented safely and in an orderly manner to protect Qualified Patients and the community, but also recommends operational and safety standards for collective dispensaries and consults individuals and organizations when opening new or relocating existing cannabis collectives and dispensaries. From 2011 to 2014, the Berkeley Cannabis Commission — then known as the Medical Cannabis Commission — composed and developed a comprehensive application and permitting process for new medical cannabis dispensaries under Measure T alongside the planning staff and the city attorney. In March 2014, the planning staff and the city manager accepted 12 new dispensary permit applications. 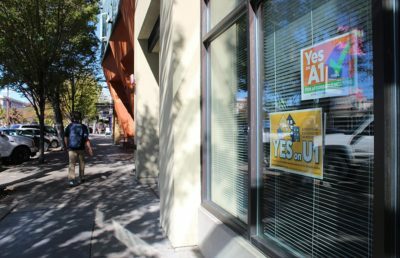 By late September 2016, the mayor and City Council had reviewed and approved three additional new medical cannabis dispensaries: iCann Health Center, Berkeley Compassionate Care Center and The Apothecarium Berkeley. Unfortunately, each with different and individual sad tales, none of these organizations will open this year, maintaining what is, in my view, an unacceptable citywide cannabis status quo that has been maintained since 2002: only three dispensaries. Certainly, many of my fellow commissioners feel a different interpretation or implementation of the application and permit process, approved by the mayor and City Council, would have resulted in a speedier resolution and a more consistent representation of commission intent and language. Based on current projections, only Berkeley dispensaries — and perhaps those in San Jose and Santa Cruz — seem to be prepared to be permitted to sell recreational cannabis by Jan. 1, 2018. But things are looking up. 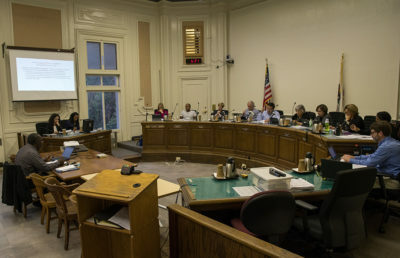 Since asking for commission input regarding the implementation of Proposition 64 (the Adult Use of Marijuana Act) in July 2017, the mayor and City Council have provided temporary provisional permitting, allowing recreational cannabis sales at Berkeley’s existing medical cannabis dispensaries, as well as soon-to-be-approved wholesale recreational sales via temporary provisional permitting for existing licensed commercial cannabis businesses in Berkeley. Products approved to be sold include edibles, tinctures, creams and concentrates. Currently, planning staff and the city manager envision an inefficiently prolonged six-month process to create a comprehensive set of cannabis regulations. The cannabis commission, however, is poised to review and recommend its own comprehensive set of policies on the cultivation licensing and permitting process, delivery-only dispensaries, nursery ordinances and selection licensing and permitting at its next meeting on Jan. 18, 2018, which will be open to the public. The future of progressive cannabis regulation in Berkeley remains dubious with the mayor and City Council’s seeming lack of attention and concern for even medical cannabis issues. Additionally, new concerns are on the horizon, including relocation of The Apothecarium, possible consumption sites and details on sale and delivery. I recognize many have expressed disappointment because this year is ending with only dispensary ordinance licensing near. Inclusion and legitimacy for businesses serving patients and the Berkeley community are long overdue, and I acknowledge the challenges when delivery-only dispensaries and other deserving cannabis collectives are frequently unregulated. Even the Berkeley Forty Acres Medical Marijuana Growers’ Collective, which previously sued the city, planning staff, city manager, medical cannabis commission and its then-chair, deserves mention for inspiring the mayor and City Council to consider ballot measures S and T. This collective is dedicated to destigmatizing cannabis, which has been negatively affected by the drug war when, in reality, many low-income and elderly medical cannabis patients qualify and have true status with no choice other than to engage in the presently unauthorized community cannabis operation. I welcome all present and future UC Berkeley community attention, input and official participation to create a more representative Berkeley Cannabis Commission for the community it serves. Charles Pappas is a Berkeley Cannabis commissioner.